We believe in transformative education which is ensured by focusing on every child and grooming the little ones with competence, character and compassion. We strive to inculcate in our students the seven pillars of success which includes God experience, compassion, team-spirit, simplicity, dignity of labour, respect for life, nature, culture religion and nation. 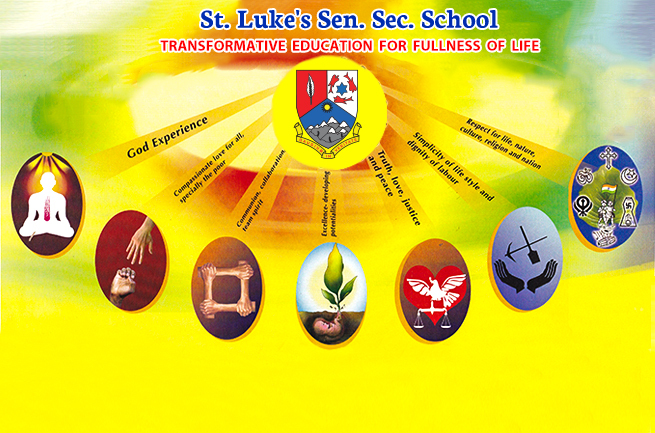 We lay emphasis on Life skills, Awareness, training and interactive programmes for teachers and parents. Work together to build a green, clean, safe and sustainable environment.